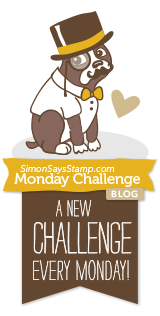 This week's Simon Says Stamp Monday Challenge is "Throw Back". We can choose any of the previous challenges for our project. I didn't throw back very far -- only to July 2015 where the challenge was "No Ordinary Paper". So I'm using things other than just card stock. Fall is just kicking in to high gear here in Northeastern Oklahoma. I love Fall more than any other season. The brilliant colors of the leaves are every bit as beautiful to me as the flowers in Spring. The last couple of mornings the house has been cool; cool enough that my baby girls (as I refer to them) don't want to get out of the warm covers on the bed. I like that in the evenings you need a jacket or sweater if you are going to be outside. Here is a picture of one of my little cuties, Holly Noelle, from this past Winter. This little girl wants to be on my lap at some of the most inopportune times, but who could resist that face? I guarantee I can't! 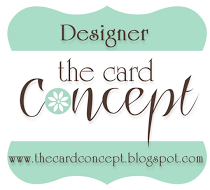 I've been thinking about die cutting some leaves out of water colored card stock. The 140# paper I use makes really nice die cuts that are thick and crisp. I was wishing I had some leaf dies with more details in them like veins. I don't, so I stamped some leaves from a CTMH set called "Autumn Splendor" on to the water colored panels I had made using the "smooshing" technique with the watercolor paper and Stampin' Up Inks. Right now I am using the Canson XL Brand of water color paper. It's great for most things but I have a few sheets of a different one that is whiter and brighter than the Canson so I'll need to see what kind that is next time I buy some. I buy the large pads of watercolor paper and cut my own panels. I do a couple of sheets at a time which gives me 16 panels that I keep ready in a stamp pocket. 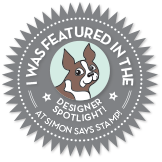 I've used both the Avery Elle Stamp Pockets and the Simon Says Stamp brand pockets. I've found the Simon Brand Stamp Pockets to be equal to the Avery Elle Brand in thickness and I can get twice as many for only $1.00 more. Keeping the panels in the pocket keeps them from getting dusty or splattered or whatever. Have I mentioned before that my creative process is very messy? Next I cut the leaves out with my die. The one I have is an old Quickutz Revolution die that has 4 leaves on it. Since I had 3 different watercolor panels in Yellow, Orange and Red, I was able to cut several leaves for my wreath. I don't have a coordinating set of stamps with matching dies but the stamping I did on the leaves gave them a little more texture than a flat piece of paper or card stock would have. I did my stamping in Delicata and used Simon Says Stamp Clear Embossing Powder on top, then heat set it. You have to make sure the watercolor paper is dry or the dies don't cut very well and the embossing is a mess! You can probably tell that experience was my teacher here, *Ü*. I cut the largest Simon Says Stamp Stitched Circle Die on some leathery looking copper colored paper to be a base for the wreath I wanted to make and started arranging and attaching the leaves around the edge using Ranger Multi Medium Matte. Because of the thickness of the die cuts, I stacked a few acrylic blocks on the top while it dried to keep everything stuck down and glued together. Once that was dry, I used an even bigger plain circle die just to cut off the excess from all the leaves. In hindsight, I could have used much smaller leaves but these were okay. I cut a Simon Says Stamp Stitched Rectangle panel out of Cherry Cobbler card stock and mounted that on an ivory card base. I stamped the sentiment on 40# Vellum using Tsukineko Golden Glitz Delicata Ink and heat embossed it with Simon Says Stamp Clear Embossing Powder. I actually tried the sentiment a few ways until I got one I was happy with. I originally used Brilliance Galaxy Gold Ink but when I put clear embossing powder on it, it was too light. I think I might need to investigate some other embossing powders as the silver embossing powder I have melts quickly, and is nice and smooth, but my gold takes forever to heat emboss and doesn't have the smooth appearance of the silver. Both are the same brand, but I hadn't realized before that they were so different from each other in how they work. 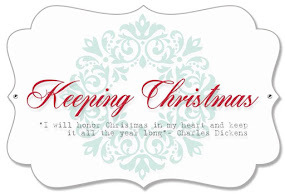 I cut one side of the sentiment with a swallowtail end and for the other I followed the shape of the wreath, snipping off the excess with a pair of scissors. I pulled out a few points of the leaves to go over the sentiment rather than under, popped on a few Ruby and Gold Sequins and called it done. I love the richness of the gold to go with the fall colors. I hope you enjoyed this card and I'll be back with my next project very soon. 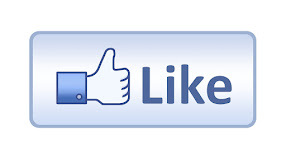 Please feel free to leave a comment as I really enjoy reading them. Fun colors! 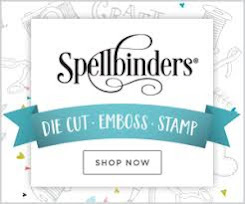 Great idea to stamp and emboss leaves on the card stock, then die cut! It makes them look so interesting! !